I was privileged to be one of the Radionomy representatives in Nashville this past December for a presentation to producers and radio-types about our platform. 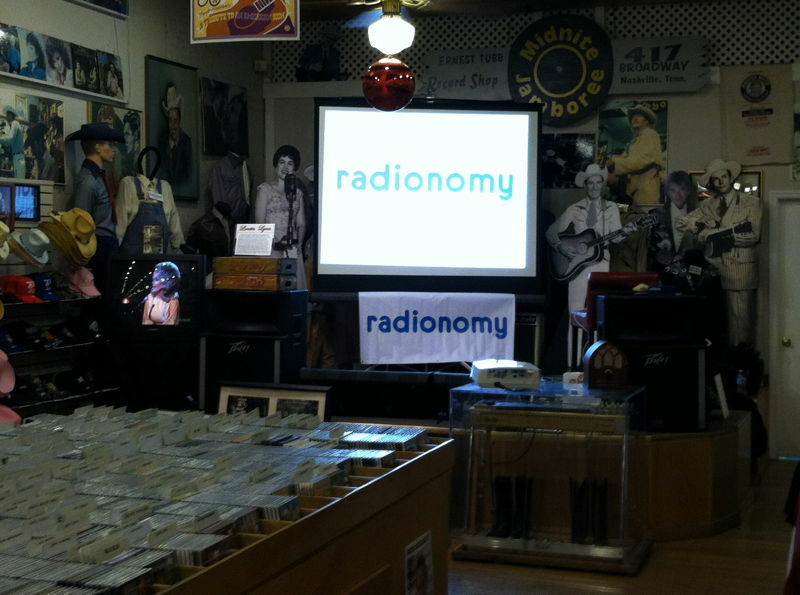 The presentation took place on the stage of the famous Ernest Tubb record store on Broadway. Elvis, and many country stars have sung on this stage over the years. I should have worn my blue suede shoes! Everyone was excited about the Radionomy platform and technologies. At the finale, I presented the owner of the store a login for a station dedicated to Ernest Tubb.